Storm & NHS Blood – Your stories! 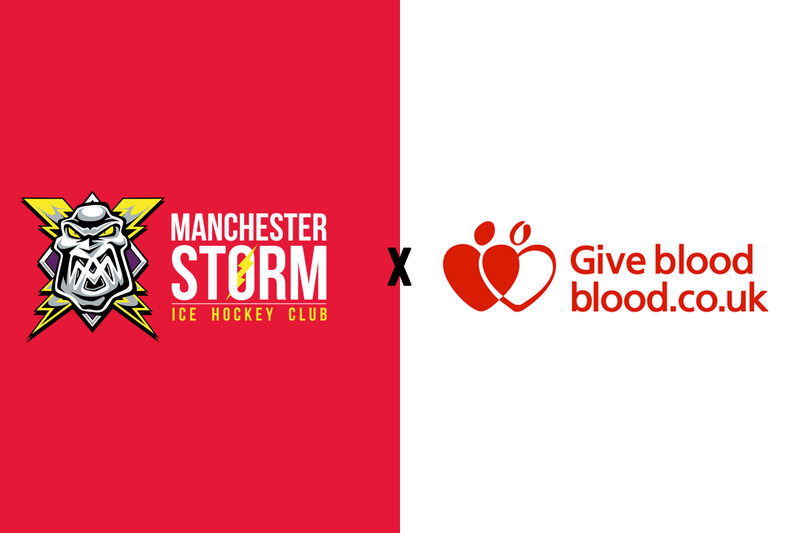 With tonight’s game being in support of the NHS Blood and Transplant group, we asked Storm fans to send in their stories about either giving or receiving blood. These are a selection fo the stories we got back! I’ve never been given blood nor donated, I pass out at the sight of my own blood, but after a close friend of mine lost her partner recently has spurred me on to donate. He was given blood and platelets. My mother-in-law was given blood when she was fighting lung cancer, she sadly past away 18 months ago. Seeing how poorly she was before having the transfusion to after it the transformation was great. It was like she’d been given a new lease of live. One day my husband who is also fighting terminal lung cancer will at some point need this. So I’ve decided to pull my big girl pants up and donate! When I was four years old I went to hospital with a very rare blood disease (auto-immune haemolytic anemia brought on by cold). Anyway, to cut a long story short I had to receive blood on multiple occasions to help my immune system get back to normal. Now I am nearly 16 and wouldn’t be alive today if it weren’t for people who gave blood. Thanks for doing this, it is a fantastic cause and would give blood if I could. Long time Stormer here, been supporting the team since 1997/8 season when the likes of Mike Morin, Dale Jago, Jeff Sebastian, Hilton Ruggles & John Finnie were taking to the ice regularly. At that age, I was in the 10 or so pints of blood donated…. my mum always gave, and I’m the same blood type as her, A-. She always said as it’s not a common group, if she gave her but, then if she ever needed some, then there was more chance if there being enough. I’m up to my 49th donation – given just after the new year. I have a new reason to continue donating now – I’ve found out that although my veins are too narrow to donate platelets, my blood is ideal to give to babies in PICU. I can save babies lives – that’s s good enough reason for me to give. Number 50 in March some time……. I first became a blood donor when a close friend of mine’s daughter got diagnosed with leukemia at the age of four years old. After seeing how brave my friends daughter fought against the cancer, I wanted to help but felt helpless and did not know how I could support my friend in her hour of need, she suggested that we became blood donors. Now at first i was terrified of needles but after seeing all the treatment that my friends daughter went through, I felt i needed to overcome my fear and just do it. I went to my first blood donation not knowing my blood type but when realizing I was O negative which is a blood type that is rare and really useful, as it is know as the ‘universal’, as it can be transfused to almost any patient in need, I realized how important it was for me to become a blood donor. I do not know why I was so worried about the blood donation as the nurses were fabulous and helped me to understand the process from start to finish. They took care of me and helped me overcome my fear. I now give blood regularly and I feel proud knowing that I am helping people who are going through one of their worst experiences in their life and i try and get as many new friends to donate with me as it is the best feeling in the world knowing that your helping people in there hour of need. I first donated within days of becoming eligible and have continued to do so for more than 40 years. My reasons for donating were an awareness of relatives who were donors, someone who had survived serious illness due to “blood” being available, and a sense that the few moments of my time taken to donate would benefit others. Since first donating the process for making a donation has changed. For me the better item has been the on-line facility to select a date, time and location making it easier to fit my donation, including Saturdays, into a relatively busy schedule and increasing opportunity to make a donation every months. As a whole blood donor the process from arrival to leaving for me is not taking more than an hour of my time in the donation session. In my profession I see hundreds of blood/plasma/platelet donations per week pass through the hospital transfusion laboratory and used for use those situations you see in the NHS Blood and Transplant website/publicity campaigns. We literally do see lives saved as a result of having those few moments of a donors time enabling us to have components available within the laboratory for use. In 2015 I made my New years Resolution to become a blood donor, registering on 14th January and giving my first donation on 13th February. My granddad was one pint from getting a gold badge and my brother donates. After my first donation it felt great and proud and I found out that my blood type is O negative which is a rare blood type making me a universal donor meaning my blood can be given to any blood type and around 7-8% of the population which makes me feel wanted and needed. Someone once asked me why I donate the simple reason is you never know when you may need blood or know someone who does. And sadly in 2016 my mum needed many pints of blood after being involved in a hit and run, but due to the injury sadly past away a week later, which gives me the determination to donate as much and as often I can. And when you donated a number of pints of blood you receive certificate and a badge for every milestone you reach which all the more satisfying. So if you haven’t donated yet I would highly recommend getting yourself registered and giving it ago even if it’s one donation, one is better than none and that one will make a difference and that one pint of blood can save three lives. How to collect your #BloodDonation jersey!